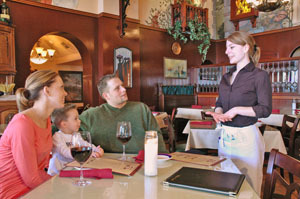 The Italian Kitchen calls itself "Spokane's Premier Dining Experience". Many regular customers are more than willng to endorse that slogan! Owned by Bryce and Lyndsay Kerr, the Italian Kitchen is a beautiful little Italian/American Bistro. 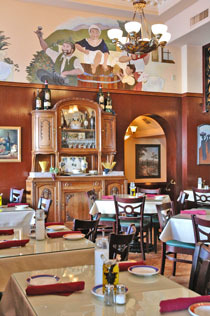 The decor is richly elegant, and you feel as if you've been transported to the heart of Italy. 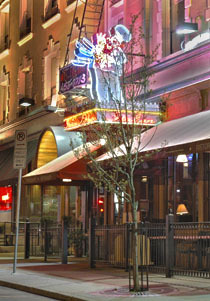 The menu features traditional Italian favorites as well as seafood, steak, chicken, pork and veal. 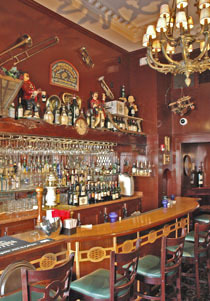 Just off of the dining room is one of Spokane's greatest and historic little lounges. Live music is featured on Friday and Saturdays. When the weather is nice, you can enjoy outside patio seating. For incredible hospitality, exquisite Italian cuisine and a truly memorable experience... give the Italian Kitchen a try.